The Red Devils suffered a disappointing FA Cup quarter-final defeat to the Wolves last month and they will be eager to avenge the loss while enhancing their top four push. David de Gea has struggled to keep regular clean sheets this term and this has resulted from the indifferent form between the sticks. He still remains the undisputed pick in goal and is scheduled to start. 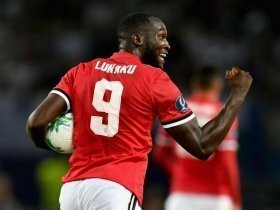 In the defence, Ashley Young and Luke Shaw are very much certain to keep their positions in the right and left-back positions but there could be a single change at the heart of the backline. Victor Lindelof, who missed the previous game due to personal reasons, should return to part Chris Smalling. In the midfield, Nemanja Matic and Paul Pogba have been undisputed choices under Ole and they should feature from the off. However, Ander Herrera's position could be considered for the game after a rather poor display against Watford last time around. He could be swapped with Fred. In the attack front, Marcus Rashford should slot into the left wing with the potential return of Romelu Lukaku to the starting lineup. On the opposite flank, Jesse Lingard may get a starting role after both Anthony Martial and Juan Mata struggled in the Hornets win.